In order to qualify as a psychologist, a master's degree or doctorate degree is required. There are a variety of degree options to choose from, and the career options available at each level can vary. In order to become a licensed clinical or counseling psychologist, a doctorate degree is required. There are two types of doctorate degrees to choose from: the Ph.D. and the Psy.D. The traditional Ph.D. in Psychology degree is a research-focused degree that qualifies graduates to work in the field of clinical or counseling psychology. Earning a Ph.D. also qualifies psychologists to teach at the university level, conduct research and practice at mental health clinics, hospitals, schools, private industry, government and private practice. Psychologists who earn a Psy.D. usually work as clinicians in mental health settings and may also work in private practice. It usually takes around five to seven years of graduate study to complete a doctoral degree in psychology. Those enrolled in Ph.D. programs complete a final dissertation that is based upon original research, while those enrolled in Psy.D. programs may complete more clinical work and examinations instead of a dissertation. Counseling and clinical psychology programs also require an internship that usually lasts one to two years. In most states, those interested in becoming school psychologists must complete a specialist degree in school psychology. The Ed.S. degree in school psychology usually takes a minimum of three years to complete and consists of at least 60 graduate credit hours. In addition to the course requirements, students must also complete a one year internship. 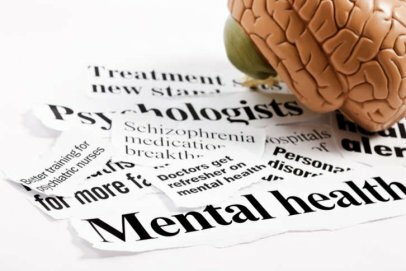 Professionals with a master's degree sometimes work in mental health under the direct supervision of a licensed clinical psychologist. Master's programs can also prepare students to become industrial-organizational psychologists, although many choose to continue on to earn their doctorate. John Francis Leader is an Irish psychologist who is known for his media appearances and clinical use of hypnotherapy.